With over 5,000 "channels" and apps, Roku media steamers provide access to the most comprehensive selection of online content to watch. However, with so much choice, it is a daunting task to find the channels you might really like. Of the channels that are pre-loaded or that you can add, most users stick with the most popular, well-known offerings, such as Netflix, Hulu, Vudu, Amazon, and delayed playback from TV networks, such as ABC, CBS, NBC, Fox or Cable channels, such as HBO and Showtime. However, if you are just sticking with those obvious choices you may be missing out on some great content from lesser-known providers. Below is our pick of the 20 Best Roku Channels you should consider, including some hidden, private channels not on Roku's official channel list. Pluto TV Menu–Roku Channel Version. Option to hide content from specific sources. Classic reruns of older television shows. No way to rewind live TV. On-demand content is rotated too frequently. Pluto TV provides access to over 100 free sources of news, sports, TV shows, music, and over 1,000 movies that you can add via the Roku Channel Store. Similar to a cable or satellite menu, you scroll through the categories and select what you want to see or hear (no need to install additional apps). Channel categories include News, Sports (including boxing and wrestling), Comedy, Geek/Gaming, Life/Style, and even Music and Radio. There is even a 4K channel (provided you have a compatible Roku device and TV). Since many selections are live (the onscreen guide is set to your local time), programs or music may already be in progress. However, the on-demand movie offerings start when selected. Since the selections and movies are free, most of them feature ads. Great bargain for half the price of Netflix. Keeps track of what you watch. Mostly features older movies and TV shows. Certain content is restricted outside the U.S.
Are you a fan of British TV shows? If so, then Acorn TV may be for you. Acorn's program library is very extensive, featuring exclusives, popular mysteries, dramas, comedy, documentaries, feature films, and programs and movies from other select European countries with English Subtitles. If you are addicted to the British TV programs you normally watch on PBS, take it up a notch and commit yourself to Acorn TV. You can install Acorn TV free via the Channel Store. However, after a free 7-Day trial period, the subscription fee is $4.99 a month (commercial free). Mix of new releases and older films. Some content is region restricted. Tubi TV (pronounced Too-bee) is a free ad-supported channel that has an extensive library of movies from MGM, Paramount, and Lionsgate, as well as a large number of TV shows. Tubi offerings are divided into genres such as Action films, Comedy, Documentary, Drama, and Horror, as well as foreign movies, movies for kids, and more. Two great categories are titled: Not on Netflix, and Highly Rated on Rotten Tomatoes. The Tubi TV onscreen menu looks similar to a Netflix menu — including a "continue watching" option that allows you to pick up where you left off if your viewing is interrupted. Tubi TV doesn't have original programming or the latest movies, and it doesn't offer a 4K viewing option, but there is a lot of great content that is worth watching that you may have missed or is an old favorite. DVR support for an extra cost. Premium plan is expensive compared to similar services. If you are an adventurous TV viewer, you can watch live channels from all over the world with the FilmOn.TV Roku App. International Channels (designated by their flags) from the UK (including live BBC News), France, Germany, India, Russia, Slovakia and more are featured (in their native languages), as well as both free and paid on-demand film content and special interest content for English and other language viewers. For example, if you click on the "breaking news" icon, you will get a listing of live news channels from several countries without having to go to each country's listing to find them. FilmOn TV is one of the best private channels available for Roku. 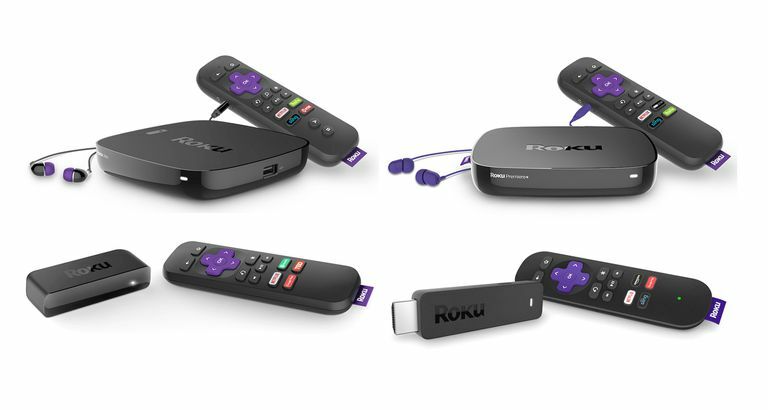 To add it, log into your Roku account using a PC or smartphone, click on Add Channel with a code and enter type the letters NMEVA into the entry box. HD remasters of classic shows. Content is rotated too frequently. Only one or two seasons of a TV series are available at once. If you are a fan of cult status B-movies and old TV shows, then Shout Factory TV is a free ad-supported channel you can add via the Roku Channel Store. Shout Factory has a large film and TV show library to draw from, including action, adventure, comedy, cult, documentary, drama, horror, martial arts, music, westerns, and more. Watch classic episodes of MS3TK (Mystery Science Theater 3000) and films from the legendary work of Roger Corman. If you are a Power Rangers fan, check out some episodes of Super Sentai — the original Japanese version of the series (subtitled in English). You can also check out great classic stand-up comedy from Steve Martin and classic variety TV show replays from The Glen Campbell Goodtime Hour and The Red Skelton Show. Shout Factory TV also has an original series: Backlot, featuring some great behind the scenes info on select classic cult films and TV shows. Staggering selection of popular and obscure Japanese animated shows. Doesn't recommend content based on your viewing history. Few full-length movies to watch. If are an anime fan, you should check out Crunchyroll, which can be download for free via the Channel Store. Once installed, you have the option of watching their basic service free or go for either the Premium ($6.95 per month) or Premium Plus ($11.95 per month) subscription services. The Basic service allows you to watch a limited selection of anime and live action content (labeled as drama) with periodic commercials. The Premium option provides ad-free access to Crunchyroll's entire film and TV library as well as new episodes of select Japanese anime and TV shows just minutes after they air on Japanese TV. Premium Plus takes it up a notch with discounts on products sold on the Crunchyroll Store and VIP access to Japanese anime creators that attend fan conventions. If you are not sure which viewing option is right for you, take advantage of the free 14-day free trial. If you are only an occasional viewer, the free, ad-support, limited access option might be fine for you. Impressive selection of foreign horror films. Some content is not available in all regions. If you are a fan of suspense, thrillers, and horror then you have to check out Shudder TV offered by the Channel Store. With films ranging from Bram Stoker's Dracula to the Texas Chainsaw Massacre, there are enough thrills and chills to keep you on the edge of your seat. In addition to movies, there are classic series, such as Tales from the Darkside, and original series, such as Born to Kill and Black Lake. There are also some great podcasts that explore film-related topics, such as Inside the Excorist. You can experience Shudder TV free for 7 days, after which you can cancel, stay onboard for $4.99 per month, or commit to a year-long subscription for $47.88 (U.S. pricing). If you are viewing in Canada, the UK or Ireland, pricing may vary. Curates news based on user preferences. Videos are too short to explore topics in detail. No syndicated or local content. Are you tired of cable news channels that are more opinion and gossip than actual news? If so, then add Newsy from the Roku Channel list. Newsy covers stories from around the World in short, easy, to understand videos that tell the story, with necessary context and analysis without debating talking heads or pontificating by a biased host. News stories are posted around the clock in the following categories: Top Stories, Live Stream, World, Business, U.S. News, Politics, Sci/Health, Entertainment, Tech, and Sports. Newsy is free to install and watch — there is no subscription or pay-per-view fee. However, there are occasional ads. Streaming schedule automatically adapts to your timezone. Whether you are a full-on tech geek or are not tech savvy but want answers, TWiT (This Week In Tech) is a free ad-supported channel available through the Roku Channel Store that provides both live and recorded content that might be just what you need. The best show on TWiT for non-techies is The Tech Guy with Leo Laporte, which is live on Saturdays and Sundays from 2 pm to 5 pm EST/EDT. This show includes a summary of important tech news of the previous week, with easy-to-understand analysis, followed by viewer call-ins. All TWiT live shows are recorded and archived by name and episode number, which you can easily access from the TWIT onscreen menu. Displays priceless art in your home for free. Parts of paintings are cut off by the screen. No way to add your own photos or art. Put a little more art in your life with Artcast. This Roku Channel is both a screensaver and an art gallery. There are two versions available for Roku users: Artcast Lite (free) and Artcast Premium ($2.99 per month subscription fee). Artcast Lite features about 160 Galleries, while Premium features 400 galleries, and a total of 20,000 paintings, photos, and artistic videos. New galleries are added weekly. Artcast galleries are auto-looped, so once started, you don't have to come back later and restart playback. However, if using Artcast Lite, there are Ads displayed before the galleries play. Also, when selecting a different gallery to display on Artcast Lite, you have to wait for another set of commercials to play. Each photo or painting displays for 60 seconds. Scooby Doo celebrity crossover specials. Do you miss those Saturday morning cartoons? You can watch as many cartoons as you can handle 24/7 with Boomerang. Featuring over 1,000 titles, including Looney Tunes and Hanna-Barbera TV shows and movies, with more added on a weekly basis, you can escape the bombardment of cable news and reality TV and re-laff at great cartoon moments. Offerings include classic characters such as Bugs Bunny, Daffy Duck, Courage the Cowardly Dog, Huckleberry Hound, Johnny Quest (the original), Popeye, Scooby-Doo, The Flintstones, The Smurfs, Tom and Jerry, Yogi Bear, and lots more. Boomerang is commercial-free from the Roku Channel Store but requires a paid subscription after a 7-day trial period ($4.99 per month or $39.99 per year). Content you won't find anywhere else. Pro plan is limited to 50 GB of uploads per year. YouTube is where most go to watch uploaded homemade videos, movie trailers, and news clips. However, Vimeo, which is available on the Roku Channel Store, takes it up a notch with an emphasis on creative content uploads from independent filmmakers that have gone through Vimeo's submission and approval process, as well as select curated on-demand films and series. User uploaded content is presented in HD (some in 4K) and Ad free. There is no charge for viewing most user-uploaded content, but select on-demand films or series may require a fee for online rental or purchase. It is also important to note that although you can upload and share a limited number of videos on Vimeo for free via their basic plan, for added space and tech support, Vimeo offers four paid plans to choose from based on your video production and sharing needs. Think of Vimeo as a more sophisticated version of YouTube — no funny cat videos shot with smartphones here! Great resource for teachers and students. Watching streams in 4K costs extra. No content from Bill Nye or Neil deGrasse Tyson. If you are fascinated with science but don't understand it all, Curiosity Stream offers content that will amaze and inform you. Curiosity Stream offers much of their content in 4K — if you don't have a 4K-enabled Roku or TV (or fast enough broadband speed), you can still watch in HD. Although you can install the app for free on your Roku device via the channel store, to view content, there is a $2.99 per month subscription fee (following a free 7-day trial period). Curiosity Stream has exclusive series and films. If you are not sure what to watch you can search by topic, or name (such as a noted scientist, astronaut, or historical artist). You may be thinking that Curiosity Stream might not be that different from the National Geographic or Discovery Channel, but it eliminates some of the "pop" or "sensationalized" content sometimes shown on those channels, and it is Ad free. International and domestic sports coverage. Cheaper than similar sports channels and apps. Streaming content restarts when interrupted. If you like Travel and Sports Red Bull TV is an excellent channel to add to your Roku viewing experience. The focus is on extreme and adventure sports such as off-road biking and motoring, cliff diving, climbing, skiing, snowboarding, flying, surfing, and more. Red Bull TV also includes music, dance, and culture categories that expose you to competitions and festivals from around the World. In addition to recorded travel and events, you can also access select live events, original series, or watch something recorded that is currently being streamed. Red Bull TV is more than just a regional sports channel or ESPN — it is a combination of non-traditional sports and adventure that makes for a great viewing experience that can be installed via the Channel Store. Perfect for short attention spans. Sort by speaker and topic. Topics aren't explored in great depth. If you haven't taken the time to watch TED, you are missing out! TED stands for Technology, Entertainment, and Design, and its premise is "Ideas worth spreading". TED is centered around free "lectures" (TED Talks) presented in front of a live audience in venues throughout the world. Topics range from the latest scientific discoveries, how to address a social issue, why animals and people behave the way they do, and an occasional music performance. Click on "Watch Something" and select from choices such as Random, Jaw-Dropping, Funny, Persuasive, Courageous, and more — you may discover something new and exciting to add to your knowledge base that you didn't know about. The best thing about TED is that the talks are presented by experts in an informative and personable, entertaining style that will definitely hold your interest. Installation is free via the channel store. Preview games before you buy them. Integrates with your Twitch account. No reliable way to filter out adult content. Not officially supported by Twitch. Video games as a spectator sport? Why not. There are so many multiplayer games and competitions that you can check out on the Twitched channel. If you are Newbie to video or PC gaming, or a non-gamer that is curious about what all the excitement is about, you can see how the most popular games are played. Of course, if you are a dedicated gaming enthusiast, you can pick up some useful tips and strategies by watching expert players competing. Twitched is the "unofficial" streaming channel for viewing Twitch gaming content (some is for mature audiences) and can be downloaded and installed directly from the Roku Channel Store for .99 cents — after that, viewing is free. Wide selection of foreign films. No translations for non-English text. The Silent Movie Channel features some real gems from the early years of filmmaking that you can view for free on your TV via Roku. It is not a part of Roku's official channel listing (it is classified as a "private", "secret" or "non-certified" channel), but you can add it free by logging into your Roku account on a PC or smartphone (not your Roku player or TV), click on Add Channel With a Code and type in the word ROLLEM (all upper case). You will be surprised how good these films were for their time — including compelling drama and early attempts at sci-fi and fantasy (with special effects that may surprise you). Eclectic mix of classic and obscure films dating from 1929 to 1983. Release dates are not listed. The Classic Cowboy Channel features films from the 30's and 40's, a selection of spaghetti westerns, and more. If you are into old westerns, there are some real gems with stars such as John Wayne, Lee Van Cleef, Gene Autry, Roy Rogers, and more. Flickstream (owners of the Cowboy Classics Channel) claims that there is a $1.99 per month subscription fee, and a short ad before each film starts. However, we found that it is also a hidden channel featured in the Private Channel list, so if you log into your Roku account on your PC or mobile phone, sign in, click on "add channel with a code", and type COWBOY (all uppercase), as you would when adding a "private" or "non-certified" channel, you should be able to access all movie titles subscription free, although there may be several ads before each film. Full episodes of "Garden Home." Lots of overlap across different topic categories. Do you spend all day in front of your computer or TV watching streaming videos? Take a break and pick up an outdoor habit like gardening. However, before you start, check out Garden TV in the Roku Channel Store. Once installed, check out everything you need to know to plant flowers, trees, lawns, and vegetables by watching the great instructional videos that are available. The Garden TV Channel is free, but there is an ad shown before each video. View weather for multiple locations simultaneously. Are you a weather junkie? If so, check out WeatherNation on your Roku. With WeatherNation, you can not only check out current conditions in your area or check out the weather in other areas provided by the National Weather Service. Additional weather news stories are available that provide you with more context and understanding of what is happening and why. Hosted weather reports are presented by certified meteorologists — no comedy hosts here! WeatherNation is free from the Channel Store — but does feature ads.